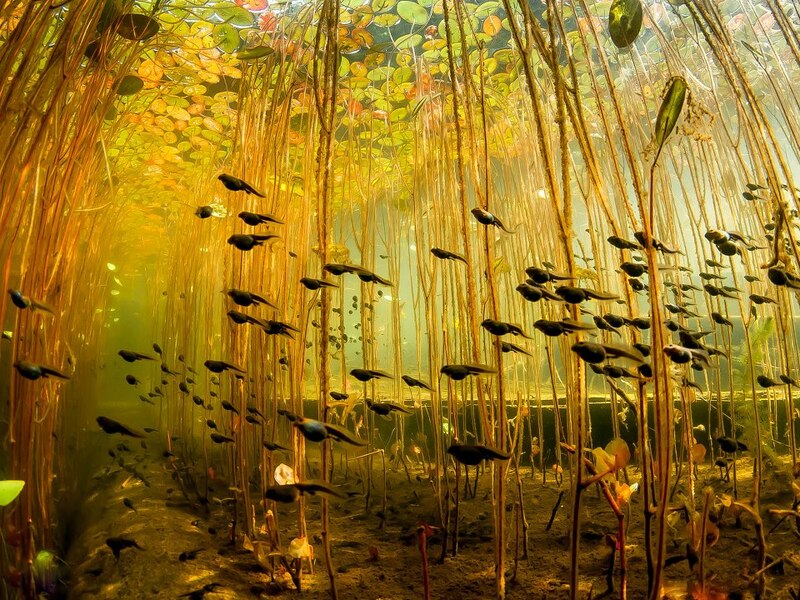 Our world should operate in this lighting. 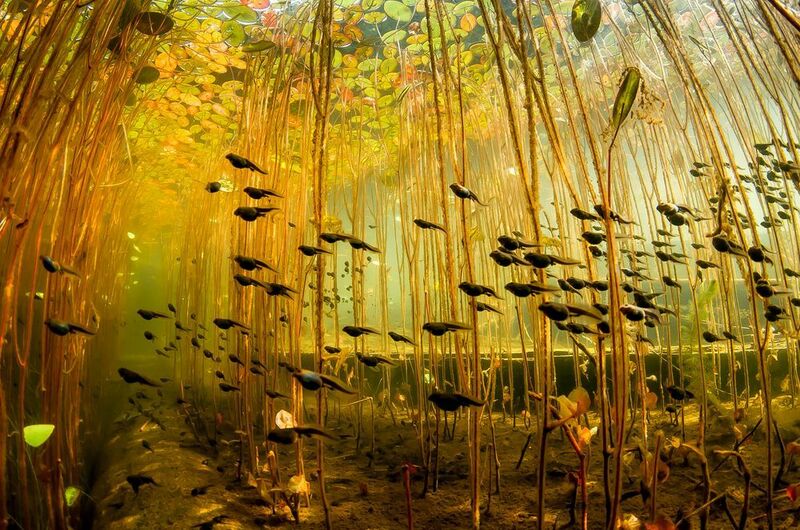 A group of tadpoles swimming. An incredible underwater photograph of tadpoles by Eiko Jones. 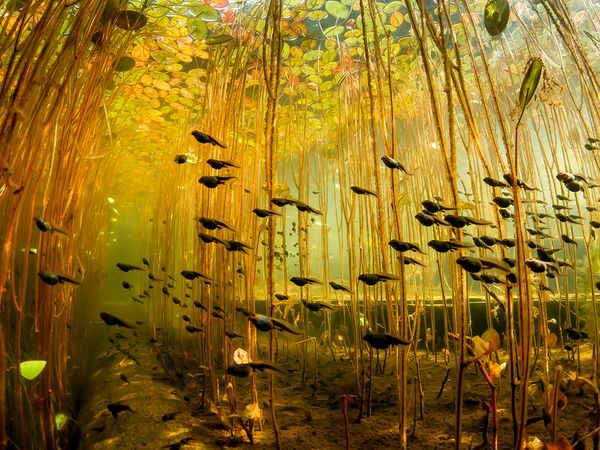 "While photographing lilies in a local swamp," writes photographer Eiko Jones, "a cloud of tadpoles swam by numbering in the thousands, all following along in a trail."